Procedural Adherence is the topic Kaufman Global president Jerry Timpson will speak on at this year’s IADC Human Factors Conference and Exhibition. The conference takes place 17-18 October at the Moody Gardens Hotel in Galveston, Texas. Mr. Timpson will present during the 10:45-11:15 am session on Tuesday, 17 October. His presentation is entitled: On Procedural Adherence. Procedural Adherence is about behaviors. Many organizations focus on the technical side of procedural adherence (documentation and training), but don’t do so well with the behavioral aspect. Often the first indicator of a procedural or process problem is when a major malfunction occurs, a catastrophic event. Smaller, less obvious issues result in major loss, but are often not addressed at all. To improve outcomes, we must shift values, engage the organization in different ways and establish new behaviors that are leading indicators of procedural and process adherence. For a preview of this topic, download our On Procedural Adherence white paper from our Resources page. Conference attendees are invited to connect with us in Galveston to discuss how Kaufman Global helps client in the oil and gas industry leverage Lean and Continuous Improvement methods to create a workplace of safety and operational excellence. Drop us a line and set up a time to say hello! Recent events have triggered a growing awareness of the human contribution to catastrophic and process safety events. As other industries have proven, if the drilling industry can make a concerted effort to understand human factors and integrate these concepts into training and operations, significant value can be gained in terms of safety performance. The IADC Human Factors Conference & Exhibition will seek to examine the innovations that are shaping the future of drilling as it strives to merge rapidly advancing technologies with an understanding of human nature and form. Kaufman Global will be among the 60,000 participants at this years’ Abu Dhabi International Petroleum Exhibition & Conference (ADIPEC), being held at the Abu Dhabi National Exhibition Centre, 10 – 13 November 2014. This year’s theme, “Challenges and Opportunities for the Next 30 Years” will be the focal point of discussion for global energy leaders, policy makers, innovators, technicians, and scholars. To learn more about Kaufman Global’s oil and gas practice and services, click here: Kaufman Global Oil & Gas. To see a few examples of our energy projects, click here: Kaufman Global Results and select “Energy”. Kaufman Global will join representatives from the Southern States Psychiatric Hospital Association (SSPHA) and the National Association of State Mental Health Program Directors (NASMHPD Forensic Division) at their upcoming Joint Conference in Atlanta next week. The event is being held on September 22-24 at the Marriott Marquis, in Atlanta, Georgia. Conference attendees are invited to connect with us to discuss how Kaufman Global helps mental health organizations leverage Lean and Continuous Improvement methods to create a workplace of excellence. To find out about Kaufman Global’s healthcare services, click here: Kaufman Global Healthcare. Kaufman Global, an implementation partner of Lean, Continuous Improvement and proprietary change management techniques, will join more than 90,000 attendees, from more than 120 countries, at the 2014 Offshore Technology Conference (OTC) being held from May 5-8 at the Reliant Center in Houston, Texas. OTC is an internationally-recognized event that provides access to technical information related to the development of offshore resources in the fields of drilling, exploration, production, and environmental protection. The event also includes the oil and gas industry’s largest equipment exhibition. Sponsored by 13 organizations and societies who work cooperatively to develop the technical program, the annual event offers key insights by global experts on technological advances, safety and environmentally focused solutions, and economic and regulatory impacts. This year’s event will include presentations from a variety of leading oil and gas companies, including Pemex, Total, Shell, Petronas, BP, Chevron, Noble, CNOOC, Statoil, INPEX, Maersk, Marathon, and Anadarko, who will share best practices from their recent projects. Attendees are invited to connect with us to discuss how Lean and Continuous Improvement methods can be leveraged to drive tangible improvements in asset utilization / velocity, business process, facilities optimization and enterprise change efforts. To learn more about Kaufman Global’s oil and gas practice and services, click here: Kaufman Global Oil & Gas. Or better yet – give us a call or send and email. To see a few examples of our energy projects, and client results, click here: Kaufman Global Results and select “Energy”. Kaufman Global will be on-hand to hear about the latest trends, emerging technologies and state-of-the-art innovations being showcased at the 2014 SPE / IADC Drilling Conference and Exhibition being held in Fort Worth, Texas, from March 4-6. Conference attendees are invited to connect with Kaufman Global’s Amy Howard, vice president and principal, to discuss how Lean and Continuous Improvement methods can be leveraged to address common challenges faced by energy organizations, such as improving asset velocity and cycle times. Hosted by the International Association of Drilling Contractors (IADC) and the Society of Petroleum Engineers (SPE), the annual SPE / IADC Drilling Conference and Exhibition provides the opportunity for producers, contractors, and service company professionals to meet, discuss, evaluate and share ideas to advance drilling operations internationally. Find out about Kaufman Global solutions here: Oil and Gas, or to see some examples of our project work, go here: Our Results. INDIANAPOLIS — Kaufman Global will be among more than 80,000 attendees, from over 110 countries, at the 2013 Offshore Technology Conference (OTC) being held next week at the Reliant Center in Houston, Texas. OTC is the world’s foremost event for the development of offshore resources in the fields of drilling, exploration, production and environmental protection. Companies from around the world, including 2,500 exhibitors, will come together to access leading-edge technical information, the industry’s largest equipment exhibition, and valuable new professional contacts. The four-d ay event is filled with educational programs on a variety of topics, including those on emerging technologies, safety and environmental issues, and the changing regulatory environment. Scheduled presentations and panel discussions will feature insights from Petronas, Petrobras and Pemex, and other leading oil companies, on targeted topic areas such as Energy Challenges and Opportunities in Vietnam and Beyond and Business Innovation: A New Voyage for Independents. As part of our expertise in implementing operational excellence programs for Fortune 1000 clients, Kaufman Global partners with leading oil and gas organizations to drive tangible improvements in asset utilization / velocity, business process, facilities optimization and enterprise change efforts. Find out about Kaufman Global solutions here: Oil and Gas, or to see some examples of our project work, go here: Our Results. INDIANAPOLIS — Kaufman Global announced today the promotion of Amy Howard to principal. Based out of Indianapolis, Howard is now one of the owners of the firm. Howard joined Kaufman Global in 2000 as a member of the marketing team and has since moved through progressively responsible roles in operations, business development and delivery. She has more than a decade of experience in supporting cultural transformations and has specific expertise in implementation design, business process optimization and Lean Leadership ®. Prior to joining Kaufman Global, Howard earned a bachelor’s degree in business management from Purdue University. Kaufman Global is a proven implementation partner that focuses on accelerating performance. For 20 years, the firm has worked with clients around the world to drive enterprise-wide change initiatives and cultural transformations. Leveraging Lean, Continuous Improvement and proprietary change management techniques, Kaufman Global delivers structured implementation and transformation projects that enable sustainable operational and financial results. 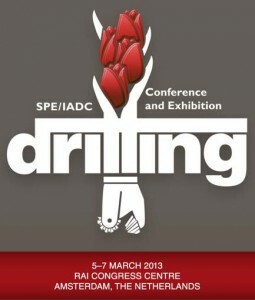 INDIANAPOLIS ― Kaufman Global announced today its plans to attend the 2013 SPE / IADC Drilling Conference and Exhibition being held at the RAI Conference Center in Amsterdam starting March 5. 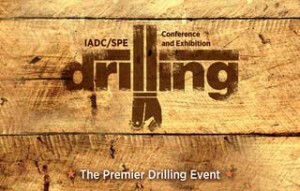 As one of world’s largest energy and petroleum drilling events, the annual conference provides the opportunity for producers, contractors, and service company professionals to meet, discuss, evaluate and share ideas to advance drilling operations internationally, promote solutions to common problems and improve overall efficiency and profitability. Hosted by the International Association of Drilling Contractors (IADC) and the Society of Petroleum Engineers (SPE), the event has brought together emerging technologies, state-of-the-art innovations, leading-edge companies and organizations, as well as thousands of engineers, scientists, managers and executives for the past 30 years. This year’s event will include an increased number of technical sessions ― 18 in all ― on a variety of topics including drilling process / technology, tubulars, deepwater / subsea, and well technology / field development, among others. IADC is dedicated to enhancing the interests of the oil-and-gas and geothermal drilling and completion industry worldwide. IADC’s contract drilling members own most of the world’s land and offshore drilling units that drill the vast majority of the wells producing the planet’s oil and gas. IADC’s membership also includes oil-and-gas producers, and manufacturers and suppliers of oilfield equipment and services. Founded in 1940, the Association is a leader in developing standards for industry training, notably its Well Control Accreditation Program (WellCAP)® and rig-floor orientation program, RIG PASS® among others. For more information, visit http://www.iadc.org. The Society of Petroleum Engineers (SPE) is a not-for-profit professional association whose members are engaged in energy resources development and production. SPE serves more than 104,000 members in 123 countries worldwide. SPE is a key resource for technical knowledge related to the oil and gas exploration and production industry and provides services through its publications, events, training courses and online resources at www.spe.org. INDIANAPOLIS — Kaufman Global announced today its participation in the ASQ Reliability Division‘s annual webinar program, a worldwide education series that promotes quality through reliability training. Kaufman Global’s Jerry Timpson, president and principal, and Sean Wright, executive vice president and principal, will present, “Change Management Inside the Organization: Understanding and Avoiding the Yo-Yo Effect,” on Thursday, April 11, 2013, at 11 a.m. Eastern time. During the one-hour, interactive webinar, attendees will learn about common themes that emerge as organizations embrace change, what can be done to avoid some of the more frequent and often detrimental problems, and how to enhance systems to optimize the odds of long-term, value-adding viability. Content will be targeted to top leadership accountable for results, as well as Operational Excellence Leaders and internal change agents.